All of our currently running winter programs can be found here. To go back to the table with the programs, click here. The Beginner Karate program aims to introduce the child to the world of martial arts through self awareness and awareness of their surroundings. Students will be learning the meaning of Karate and why it's so important in today's lifestyle. It is an introduction to basic physical exercises and self-defense techniques. The child learns how to use the surrounding environment to his/her advantage; introduction to endurance exercises and the use of different parts of the body as natural self-defense weapons; the concept of "healthy mind in a healthy body" explained. You and your child can explore music through songs inspired by nature and from folk traditions around the world. Improve your child’s sense of rhythm and coordination through movement, action songs, rhymes, and games. Learn transition songs to ease your day and foster your child's creativity by using simple percussion instruments and up-cycled instruments that you can learn to make at home. Make a super special project! Take home a craft every week! Your special project will fill you with pride. Take home a craft every week to show off you talent. Kids Zumba is based on original Zumba choreography, kids jam out to their favourite music. Featuring Latin and International rhythms Merengue, Salsa, Cumbia, Reggaeton, Flamenco, Hip Hop, Belly Dancing , Tango, and Cha Cha Cha. Classes incorporate key childhood development elements respect, team work, confidence, self-esteem, memory, creativity and coordination. Starting with some easy basics, and ending with some classics as well as the latest pop songs, this course is designed to teach you to have fun while earning to play the guitar. Have fun learning how to make Christmas cards using a variety of stamping techniques. Your child will enjoy making simple pottery projects while learning different hand building techniques. Each of the first four weeks, a new hand building technique will be taught. Your child will work on a simple project that uses this technique while providing an opportunity to add personal touches to create a uniquely creative piece. These pieces are then given a first firing in a kiln. On the fifth week, the class glazes their pottery ready to be fired a second time I the kiln. It is important not to miss this last class. Families will be given a notice as to when the finished projects can be picked up at the Centre. Enjoy learning basic pottery hand building techniques while making projects highlighting these techniques. Each of the first four weeks, a new hand building technique will be taught, including decoration, pinch pots, slab pots and coil pots. In each semi-structured class, participants will work on a pottery project that uses this highlighted technique with opportunities to add personal touches to create a uniquely creative piece. These pieces are then given a first firing in a kiln. On the fifth week, the class glazes their pottery ready to be fired a second time in the kiln. It is important not to miss this last class. Families will be given a notice as to when the finished projects can be picked up at the Centre. Introduction to piano notes, getting familiar with musical notation, timing, singing songs, and performing pieces. Enjoy an evening creating a floral painting using acrylics on a 16" x 20" canvas you can take home and hang on your wall. Dessert and coffee/tea will be served. 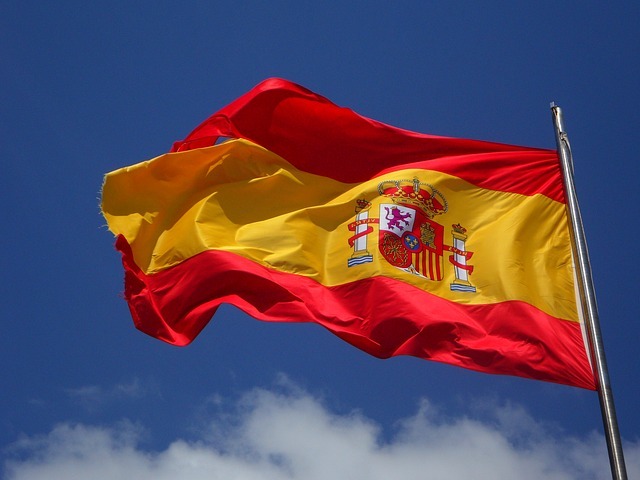 The beginner Spanish class is intended for those with little or no experience in the Spanish language and interested in learning to communicate at a basic level. Emphasis is placed on dynamic application of the language in the classroom through dialogues and mini-conversations.This course aims to develop the four main Spanish language skills of speaking, listening, reading and writing as well as to improve grammar, vocabulary and pronunciation. Our classes focus on communication, which will enable students to enrich their vocabulary, to improve their fluency and to become more confident when using the language. For those who have some Spanish or have taken a beginner course. Our program has an emphasis in communication through the development of the four basic skills of the language as well as the intercultural competence. It has a communicative approach to language learning. In this program, activities addressed to develop speaking, listening, reading and writing are implemented. To best facilitate the study of language and culture, the coruse uses vocabulary usage, language control, communication strategies, and cultural awareness. Learn and improve your watercolour techniques with a local artist. Participants are expected to supply paper, paint, and a simple pallet. Tango is essentially walking with a partner and the music. Tango can be danced in an embrace that can vary from very open, in which leader and follower connect at arms length, to very close, in which the connection is chest-to-chest, or anywhere in between. Come on out and make 5 different homemade birthday cards for both masculine and feminine birthdays. The cards will feature using a variety of stamping techniques including dry embossing, die cutting and heat embossing. Learn the basic crochet stitches in one evening. Chair Yoga is one of the gentlest forms of yoga that is practiced sitting on a chair, or standing using a chair for support. This style of Hatha Yoga focuses on catering to students with limited mobility and strength. Frequently the Chair Yoga student is unable to practice traditional yoga due to the effects of aging or physical limitations. However, Chair Yoga is a great alternate practice as it gently increases flexibility, range of motion, and strength while promoting better balance and personal body awareness. For starters, you can expect to have lots of fun. Instead of following an aerobics routine, you'll be dancing to various types of music. Worries about coordination or missing a step? Don't worry! Zumba uses a lot of repetition steps in every class. After a few classes, you will know the basic steps. Remember, this is how Beto, the creator of Zumba puts it, feel the music! Most of all, just have fun, even if you can't do a step, just move to however the music makes you feel! There is no wrong or right way to Zumba. Learn the basics required to build a model railroad, developing your skills as you build a small diorama. This eight week program is taught by a team of local experienced model railroaders who are members of the Doubleheaders model railroad club. If you are looking for a gentle form of exercise that improves mobility, flexibility and balance, consider Tai Chi. Often described as meditation in motion, Tai Chi promotes serenity through gentle, flowing movements. Tai Chi is an ancient Chinese art that today is practiced as a graceful form of exercise. It involves a series of slow, flowing movements, performed with a focus on energy cultivation, moving from the core, and breathing. The goal of Tai Chi is to leave its participants feeling peaceful, relaxed and energized. This is a Pilates mat program that focuses on deep breathing, mental concentration, and muscular squeezing to strengthen the core and body, increase coordination, and improve blood circulation. this program teaches Hatha Yoga focusing on strengthening, stretching , and rejuvenating, breath work to focus the mind, relaxation to quiet the body and mind, and meditation to center the spirit. Have an instrument and looking for a group to join? In Celtic Ensemble you will discover beloved tunes from ancient folk traditions. Bring out your sweaters and crank up the heat, winter is here! What's better than a warm bowl of soup on a chilly night? Join us in the kitchen and cook up some heartwarming new soup recipes. Take this course and find out why Ukulele is becoming so popular! Starting with simple melodies and moving into chords and rhythms for popular songs, you will have fun and discover how easy to learn a musical instrument can be. DrumFit encourages the B3's of B1brain, B2body, B3beat. DrumFit is a fitness based program that uses a 65cm exercise ball, drumsticks, and a riser for a stablity stand. It combines cardio, muscle conditioning, balance and flexibility while burning calories with all of the fun of drumming and zero intimidation factor to Pop, Disco, Hip Hop, and Retro music. For an example click here. If you always dreamed that music would be a part of your life, but lost track of that dream, come and find it with our adult introduction to piano group. 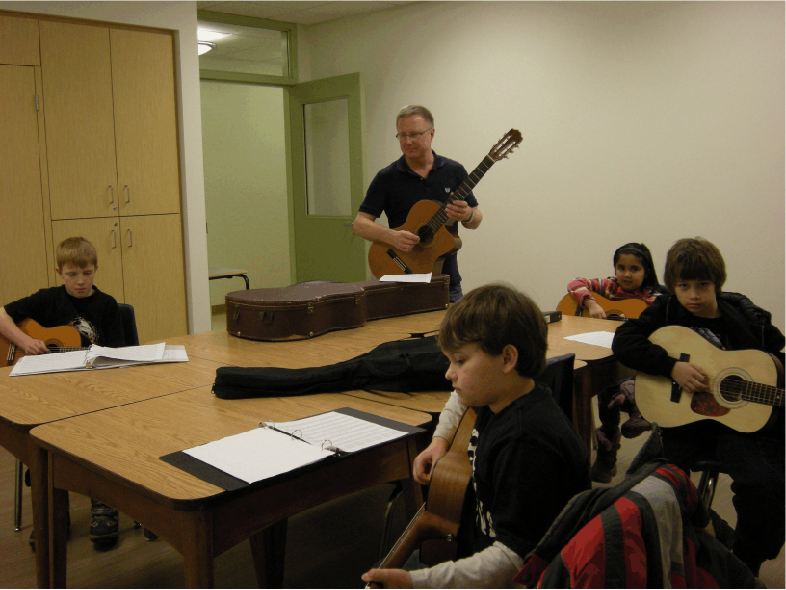 Classes are designed to accommodate the variety of skill levels learning songs, technique, and symbolism. This course is meant to be an introduction to ballroom dancing. If you have none to some limited experience with ballroom dancing, this is the perfect class for you. You will learn the basic steps of two ballroom and two Latin American dances. We usually ask our students to repeate this level since each semester allows you to learn the basic steps of new dances that were not covered in the previous term. Once you have mastered the basic steps taught in the beginner level, or if you already have experience with the basics of ballroom, you are ready to move onto this level. You will learn more advanced steps and be introduced to the technical aspects of ballroom dancing. We will work on proper posture, footwork, turn control, and properly directing your movement. We will pay more attention to the "leader and follower" roles in ballroom dancing. Here we try to follow the International Style Ballroom syllabus and the Latin American Style syllabus. We put a lot of effort into teaching proper technique. You will learn dance routines that include Bronze, Silver and even some Gold level figures. We try to customize dance routines accordingly to suit all couples. In this group we will spend some "one on one" time with each couple to correct mistakes and improve your technique.